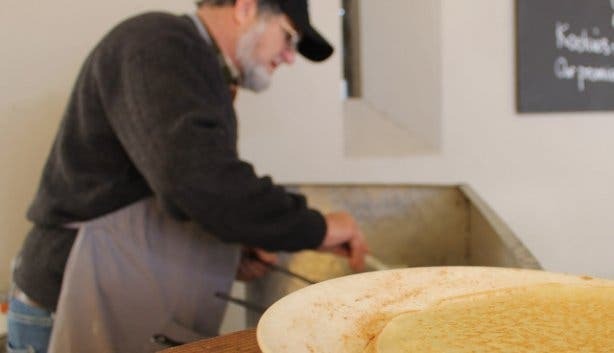 Once upon a time in a land not so far away – just a mere hour from Cape Town, in fact – the farmers of a small settlement called Caledon banded together in the name of their children’s education. Vehemently opposed to their little ones learning their ABCs and Ps and Qs in a language other than Afrikaans – at that time English was the compulsory teaching language in the Cape – they started their own schools and sourced their own teachers from Holland. Hermanus Pieters thus made the long journey from the Netherlands to the Overberg region not to found what would become a thriving tourist town, but rather to educate a small collection of rural students. Though, when he trekked east toward the ocean in search of a fertile grazing spot for his sheep (in those days teachers were paid in livestock), serendipity took hold and it wasn’t long before the first families had migrated from the interior to Hermanuspietersfontein: a spot with a freshwater spring, ample summer vegetation and abundant marine life. 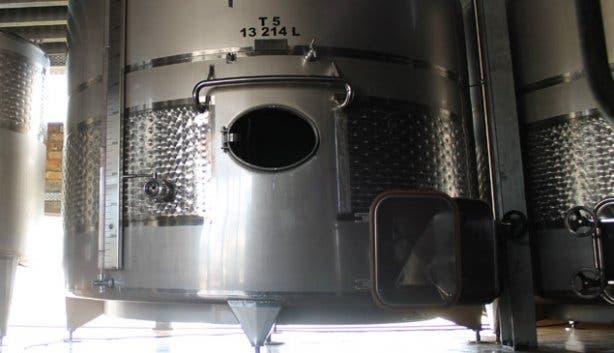 That was in 1855; now over a century later, one winery with the same spirit of inauguration is paying homage to the town’s unlikely namesake and to Hermanus – the “pietersfontein” caboose was quite unceremoniously dropped by a sluggish postmaster in 1902. 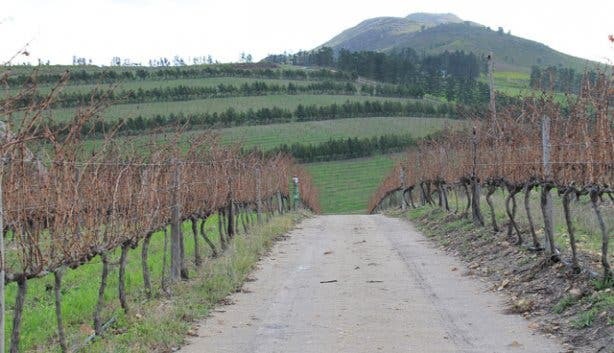 “Hermanuspietersfontein is devoted to creating the best, the purest, the most honest product that we can put in a bottle,” Gerrie Heyneke, one of the handful of wine farm shareholders, explains both as an epilogue to the story and as a start to a sequel, of sort. 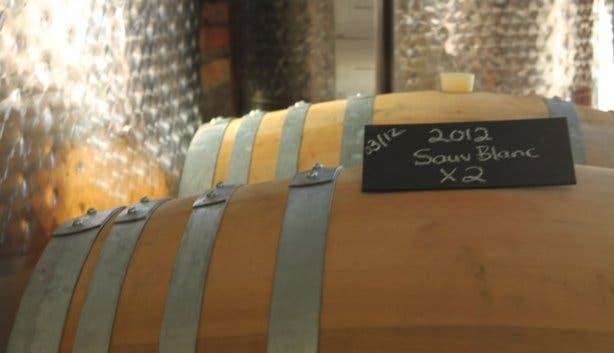 A statement that may, initially, feel somewhat trite; after all, there are hundreds of South African wine estate owners who would swear the same, up and down and ten times over. 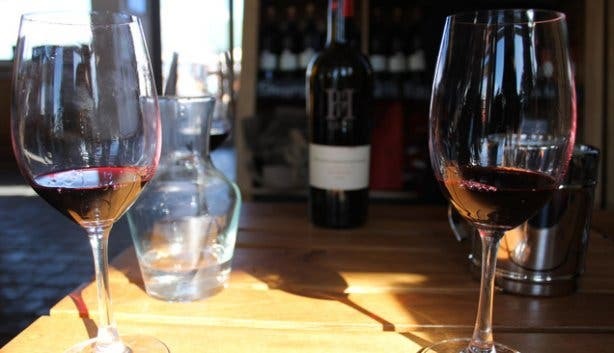 But Gerrie’s claim, in fact, not only rings true, it also leads us to his second, and more discerning point, “there’s a helluva lot more to our wines than meets the eye,” he says with a knee-slap of note. For one, the farm from which the winery’s grapes are painstakingly cultivated and harvested is a lesson in virtue and sustainability. 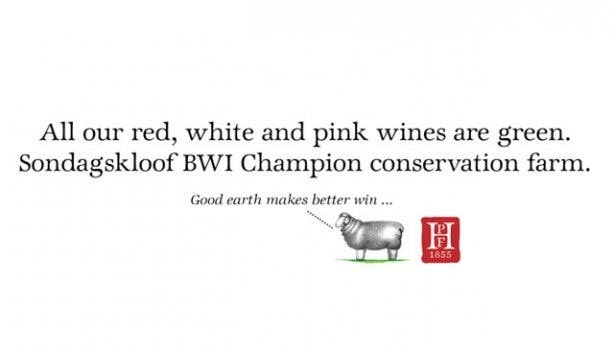 Deemed a Biodiversity and Wine Initiative (BWI) Champion by the South African World Wildlife Fund (WWF), it’s one of a mere 20 farms to be lauded as leaders in environmental best practice, and is applauded for its effort to commit more than 10 percent of its land to conservation. “It’s all about the long-term. It’s about bringing the land back to the state that it used to be in. That means removing alien species, managing the irrigation systems effectively and composting. We’re working towards a place where we won’t have to use fertilizer anymore,” he explains. Not to mention, rather than using pesticides to control a pesky snail population, a flock of robust-looking ducks have been dutifully employed to patrol the vineyards and eradicate any sign of slippery nematodes. 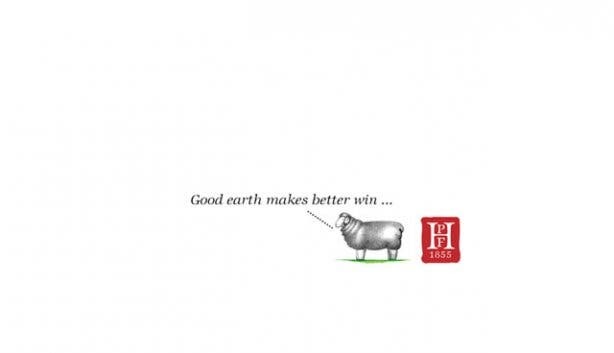 All said though, it’s nonetheless, tempting to bend to the belief that all environmentally-friendly wine farms also suffer from the trappings of poor-quality vintages – a perception rooted in the vrot state of the first batch of organic vino that hit the market – but, don’t fall victim to this myth. 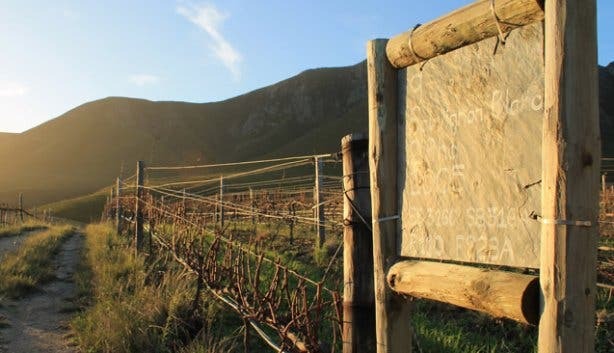 Just as the Hermanuspietersfontein team prides itself on the integrity with which it tills and nurtures its land, winemaker and shareholder Bartho Eksteen is committed to making world-class wines in a world-class cellar. Known as “Monsieur Sauvignon Blanc” by none other than South Africa’s esteemed John Platter, the man behind the nation’s premier wine guide, and as the “Sage of Sauvignon Blanc” by Neil Pendock, the well-known independent drinks commentator and Sunday Times columnist, Eksteen has likely bottled more award-winning whites in his six years at Hermanuspietersfontein than some winemakers do in a lifetime. From vineyard to cellar, he oversees every step of the process, harbouring the belief that a winemaker should spend as much time as possible on the farm during harvest. And with a Hermanuspietersfontein wine range that’s been endowed with four John Platter stars across the board – not a feat to be taken lightly – his passion and know-how precedes him. Perhaps most interesting, though, is not the fact that Eksteen has quite admirably engineered an incredibly well-rounded selection of Sauvignon Blancs, Bordeaux blends and Rhone-style blends, but that he’s done so in a distinctly atypical manner. A point best illustrated by Swartskaap, Afrikaans for “black sheep”. Named such because it’s the only single variety wine that Hermanuspietersfontein produces, this full-bodied, European-esque wine is a Cabernet Franc – a wine that rarely stands alone and that’s predominately used for blending due to its high-maintenance reputation. Similarly, at Hermanuspietersfontein they’ve produced a long-legged, Bordeaux-style Rosé, rather than toeing the line and merely adding Pinot Noir to the mix; and they’ve also conjured up a wooded Sauvignon Blanc (the herbaceous No. 5), something of an anomaly to South Africa. Needless to say, the winery is on a quest to break the mold while simultaneously backward bending into the past. Take their regular weekly food and wine market, for example. Established back in 2006 before hipsters were sparring over stall spots in Woodstock’s Biscuit Mill and careening into one another to reach the last artisan cupcake, Hermanuspietersfontein’s bazaar was already old hand at providing high-quality, homemade goods to the public. “We wanted to reinstate that ‘old-fashioned’ idea of a social gathering place; somewhere locals and visitors could come to meet,” suggests Gerrie when quizzed about the impetus behind the concept. 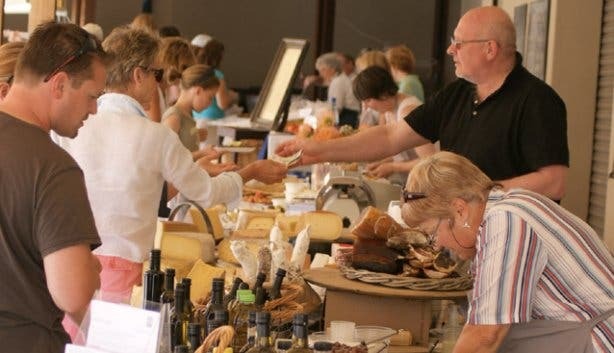 A child-friendly, canine-friendly Saturday staple where 19 local vendors flaunt fresh cheeses, cured meats, pancakes, oysters on the half-shell, bacon and eggs, and of course, Hermanuspietersfontein wines. 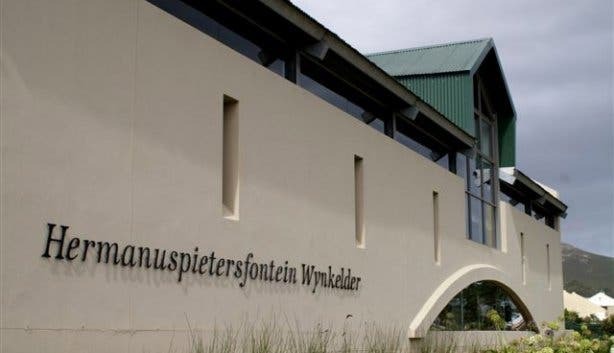 Just as the unassuming Hermanus Pieters left his mark and carried on with his business, Hermanuspietersfontein is pushing forward and doing what it does best – making great wine. Make a weekend out of it. Hermanusfontein has charming wine farm cottages just outside of Stanford, and of course, their weekly market is not to be missed. Don’t forget to follow us on Twitter, like us on Facebook, join our Google+ circle and check out our Pinterest boards for updates.